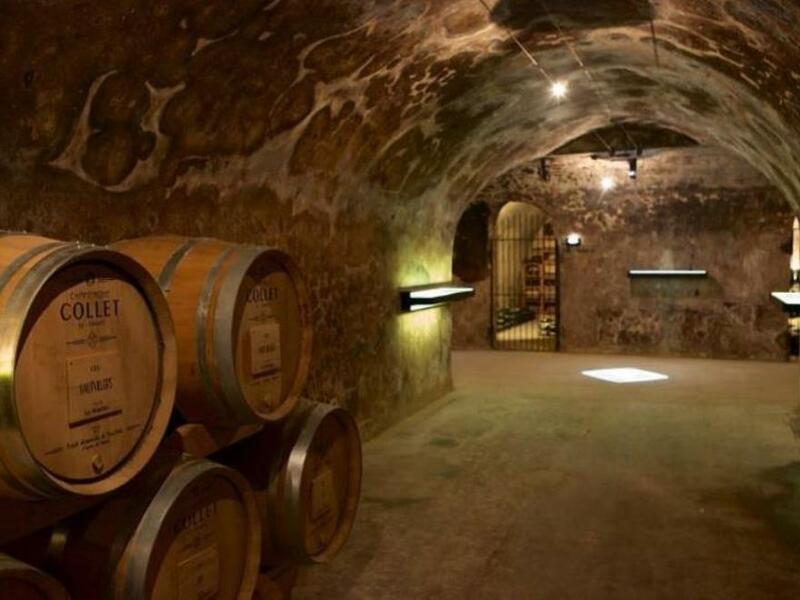 Collet is the premier brand produced from the top 10% of grapes grown by COGEVI, a cooperative of grapegrowers who initially banded together in the years preceding WWI to revolt against the major Champagne houses procuring grapes from outside the region for use in Champagne. The grapegrowers eventually won their battle (after the city of Aÿ was nearly lost to fire) and Champage was classified as an AOC. 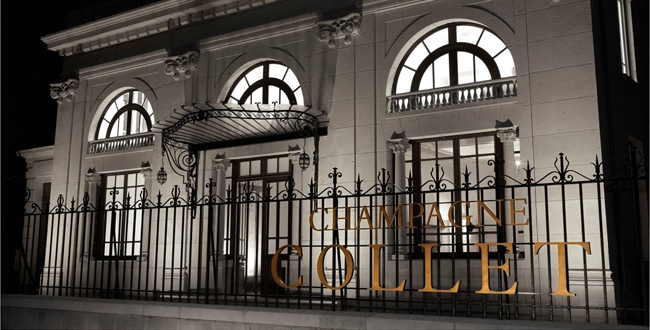 However, rather than return to the days of selling grapes to the major players who colluded against them, the comrades in arms opted to refocus their efforts on producing their own wines, Champagne Collet, and their museum & production house in Aÿ, La Cité du Champagne Collet-Cogevi. Today La Cité du Champagne stands as a monument to the triumph of the grapegrower, the classification of Champagne, and the history of the art deco movement that emerged as Aÿ was being rebuilt.